Qué buen detalle del hielo! Me gusta cómo has jugado con las luces y las sombras. I love the blue color, it adds a beautiful touch to the frost crystals. 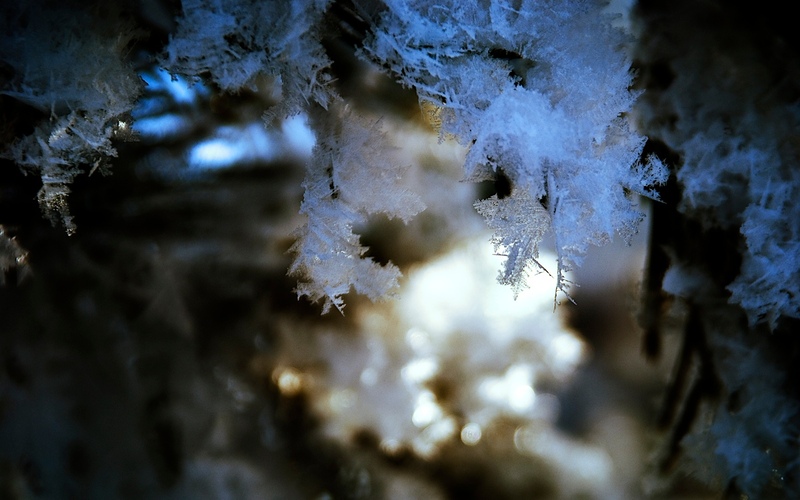 Beautiful details of the frost and excellent shallow DoF. my my.. those ice formations are just lovely! great shot!